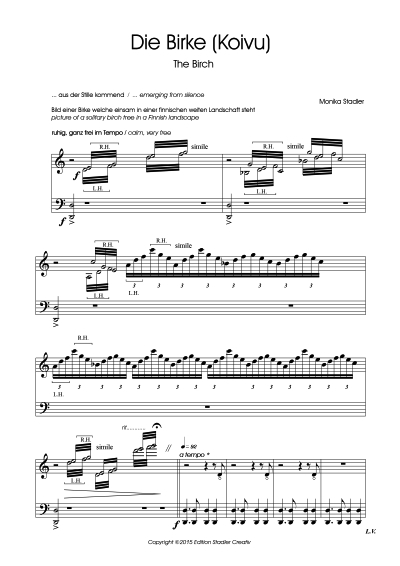 This piece for pedal harp was written as a commissioned work for the Northern Light project by the Brucknerhaus Concert Hall, Linz, Austria. 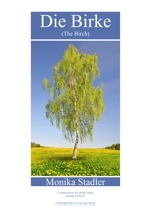 Monika chose the Birch tree to represent Scandinavia, and as a symbol of Spring and new beginnings. Her inspiration was the interplay between sunlight, wind and leaves as well as traditional tunes from Finland. It includes a beautiful classical cadenza. Die Birke (The Birch) is recorded on the CD "Everything will be all right" by Monika Stadler.